Leaders of the Freedom Caucus met with House Speaker Paul D. Ryan (R-Wis.) on Wednesday to candidly express their frustrations with his leadership and his handling of the Republican legislative agenda, according to two people familiar with the discussion. The exchange comes as former White House chief strategist Stephen K. Bannon is having conversations with hard-line GOP lawmakers about how they should exert greater influence in the fall’s political fights and pressure congressional Republican leaders. 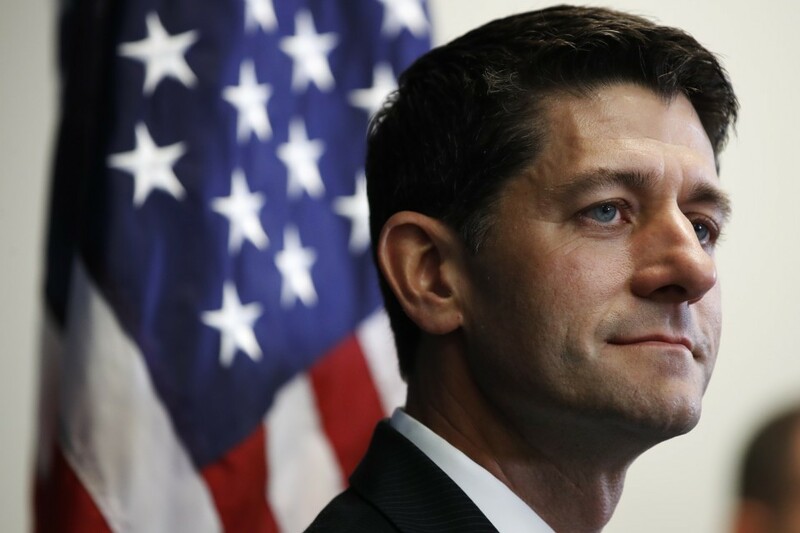 Ryan heard out three members of the influential conservative group: Reps. Mark Meadows (R-N.C.), Jim Jordan (R-Ohio), and Scott Perry (R-Pa.), the people said. Meadows is the chairman of the Freedom Caucus, which counts about three dozen members, and he has been a friend and ally of Bannon for years. While the trio personally like Ryan, who remains popular throughout the House, one of the people familiar with the discussion said the three members were “frank” about their mounting concerns and warned Ryan that they and others in the House Republican conference could desert him in the coming months if the leadership fails to enact conservative policies. Several people close to Bannon and Meadows said on Wednesday that the two men, who met on Monday on Capitol Hill, have begun to discuss who could replace Ryan as speaker, should conservatives rebel against him. But they stressed that those discussions remain speculative and informal, with no plan yet for action. House Speaker Paul D. Ryan (R-Wis.) said he shares President Trump's frustration with hardline conservative Freedom Caucus members who blocked the Republican health-care bill. Trump tweeted a warning to the group March 30, saying they would "hurt the entire Republican agenda if they don’t get on the team, & fast." Meadows led the effort in 2015 to unseat then speaker John A. Boehner (R-Ohio). Boehner stepped down months later. Wednesday’s meeting with Ryan, which took place at the Capitol, is the latest example of the agitation within the House Freedom Caucus about the speaker’s approach to pending matters such as extending the federal borrowing limit, passing a federal budget, and crafting tax-reform legislation. Allies of Ryan shrugged off the Freedom Caucus huddle as just another example of how he is listening to his members and engaging with his critics on strategy and policy, which they said is a routine practice for him. A spokesperson for the House Freedom Caucus declined to comment. But a conservative lawmaker who is close to the Freedom Caucus did provide a statement to The Washington Post.